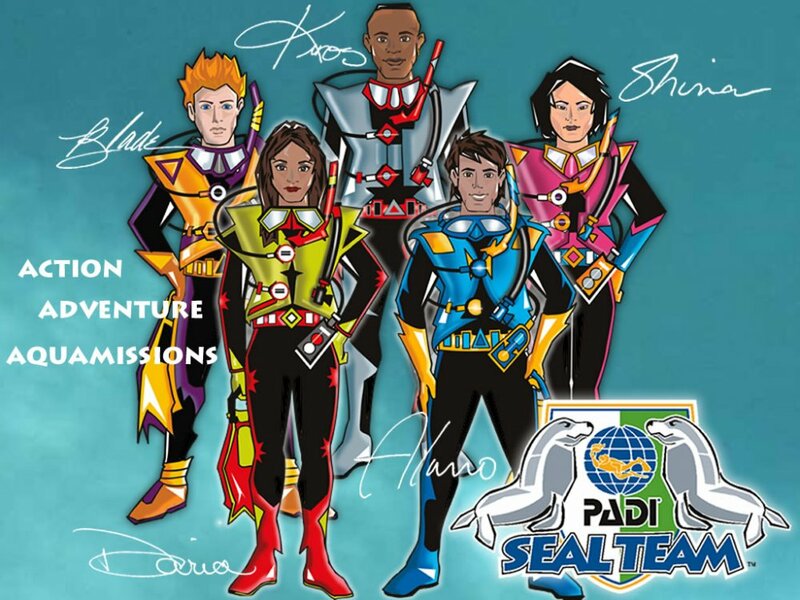 One World Dive & Travel is excited to bring you the PADI Seal Team program just for kids! It’s a great way to introduce kids to the underwater world and offer them a Seal Certification! It’s a series of “Aquamissions” designed specifically for kids 8 years and older! The course is taught in 2 hour blocks over 3 days. The Seal Team will learn the basics of Scuba Diving as well as fun activities in the safe confines of our pool with our top notch Seal Instructors. Upon completion they will receive a Seal Team Member card and may opt to continue their training to achieve the Master Seal Team Member rating with further Aquamission specialties! Course fee: $135.00 plus Adventure Kit (includes DVD) $72.00. Let your kids take the next step in their adventure! Would you like to continue your training to acheive the Master Seal Team Member rating? Once a month, we will be offering an Aquamission specialty that can be applied towards your Master Seal Team rating. The courses will be conducted on the first Wednesday of each month from 4:30 - 6:00pm. The Seal Team Member will learn advanced skills during the completion of specialty Aquamissions, all in the safe confines of our pool. Call the store for more details! Download the PADI Seal Team Release.